New York, NY: Tom Doherty Assoc Llc, 1991. Text/New w/faint margin discoloration; unpaginated pages with loss to one page in latter half. Softcover/Good; strong w/edge wear & faint creasing to upper front corner. 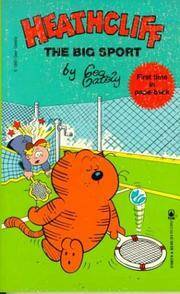 Anthology of previsely published cartoon strips of Heathcliff, the fat-cat-with-an-attitude created by George Gately Gallagher (1928 - 2001), who dropped his last name of Gallagher to avoid confusion with his successful brother. Of scruffy pedigree, a penchant for trouble, & an irreverent attitude. Hit of the mid-70s, Heathcliff starred in so many newspapers, that it, and its creator, were household names. . First Edition, First Printing. Paperback/Cartoons. Good/None as Issued. First Edition/First Printing. San Francisco, CA: Chronicle Books, 2007. BRAND NEW & Collectible w/black ribbon bookmard; trace nips to upper back edge (Publisher's flaw). First Edition, First Printing. Green linen boards featuring of Buzz Lightyear of Toy Story (1995, first of some 20 Pixar creations) fame. DJ/None as Issued. Illustrated endpapers. Frontispiece: Buzz & Woody; some 20 productions to be. 320 pgs. w/color illustrations. The story of Pixar Animation Studios and how it functioned by Karen Paik. 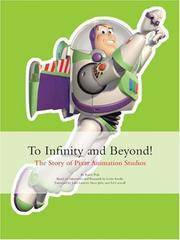 Text based on research of Leslie Iwerks, chronicles the history of Pixar Animation Studios from its founding through 2007. 320 pgs, color photo illustrations. in 14 chapters. History of Pixar Studios on it's 20th anniversary; now owned by Disney. Pixar of Emeryville, CA was founded 1986 as an offshoot ot the Graphics Group of Lucasfilm, and Steve Jobs [chairman]. Contents assembled from Pixar directors, producers, animators, voice talent, and industry insiders, as well as concept art, storyboards, and photographs. The book contains forewards by Ed Catmull (Lucas), Steve Jobs (Apple), and John Lasseter. . First Edition, First Printing. Hard Cover. NEW- COLLECTIBLE/None as Issued. First Edition, First Printing. Philadelphia, PA: Running Press, 2013. BRAND NEW COPY. Mini-sized book for little people. Essence of being brave. Based on the enchanting comic strip Peanuts from cartoonist Charles M. Schultz (1922 - 2000), nicknamed Sparky, whose fame, among the young, was outstripped by Charlie Brown, Snoopy, Lucy, Linus, Sally and the whole Peanuts gang. 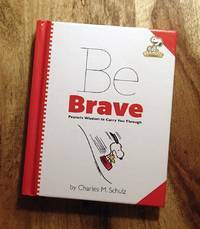 Takes light-heartedness and humour to be fearless and brave.. First Edition, 5th Printing. Hard Cover. NEW/None as Issued. Illus. by Charles M. Schulz (Author-Illustrator). Kansas City, MO: Andrews McMeel Publishing, 2015. BRAND NEW & COLLECTIBLE. First Edition, First Printing. Gags of modern life in comic form. Replacing Doonesbury in the N.Y. Times in 2014, and now syndicated in 350-plus U.S. newapapers. Strip's name is a marriage between surnames of Danish wiriter Mikaek Wulff and illustrator Anders Mortenthale. First became a daily strip in the Politiken, 2003. Since 2012, WUMO appears daily in Politiken (Denmark), Aftonbladet (Sweden), Dagbladet (Norway), Die Welt (Germany), Helsingin Sanomat (Finland). For a period, illustrator Morgenththalers, "was fed up with the tiresome meticulousness of drawing clothes on people so he just stopped doing it." --- then clothing restored to previously naked as well; all characters in this volume clothed.. First Edition, First Printing. Hard Cover. NEW- COLLECTIBLE/None as Issued. Illus. by Anders Morgenthaler (Illustrator). First Edition, First Printing. Philadelphia, PA: Running Press/Hallmark, 2007. BRAND NEW COPY. Black boards w/a parade of the Peanuts crew. Silver endpapers followed by a gift-dedication page. Gift Edition published for Hallmark. Humour and wit yet wise philosophical musings ready to share. Charlie Brown says: "Life is like an ice cream cone ... you have to learn to lick it!" and specifically cautions: "Never lick ice cream off a hot sidewalk". 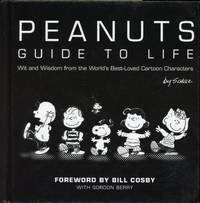 Selected wisdom from over half a century voiced by the Peanuts gang --- that is, Charlie Brown, Lucy, Linus, Snoopy, and the rest created by Charles Schulz (1922 - 2000) which debuted 1950. 128 pgs of droll, stand-alone punchlines organized thematically into: 1, Life Philosoph6; 2, Confidence; 3, Self-Care; 4, Self-Reliance; 5, People Skills; 6, Prudence; 7, Wisdom; 8, Effort; 9, Love; and 10, Life's Little Quirks.. Hard Cover. NEW/None as Issued. Illus. by Charles Schulz (Author-Illustrator). Hanover, NH: Univ Press of New England, 1998. EX-LIB/UNCIRCULATED COPY. First Edition, First Printing. Text/BRAND NEW. Bi-color boards/NF. DJ/NF; under library mylar. Loan-pocket to rear cover verso. Humours & witty fable. 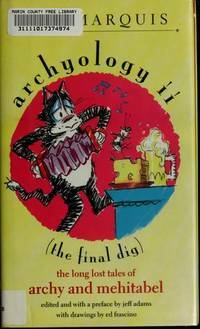 2nd and final volume "composed" by Detective Cockroach Archy, the literary cockroach, of his and his feline friend, Mehitabel, adventures. Posthumously published work of journalist, raconteur, humorist and author Don Marquis (1878 - 1937), literally recovered from a steamer trunk, illustrated by New Yorker cartoonist Ed Frascino. Archy, we are told, worked at Marquis's newsroom typewriter at night, diving headfirst onto individual keys to tap out columns; shift keys difficult, he favored lower-case less punctuation. Typing disadvantages aside, were there advantages of being a coackroach? Well, as he said, Archy was able "... to see things from the under side." From this unque perspective we follow the continuing saga of this most interesting creature in encounters with a raja, Bolshevist twins, an Egyptologist, seven sister manicurists, besides saving the US fleet from a German U-boat attack, witnessing growing strength of the Ku Klux Klan had him worried that the national emblem will soon be the "great american kleagle." Meanwhile, Mehitabel, who claims to be a reincarnation of Cleopatra, offers to hire hit-cats to clean up City Hall, not of rats but of reporters --- purr-fect solution for Trump? Indeed, book as Jeff Adams says, is of "classic American humor, as vivid and amusing today as they were decades ago." Strong copy. . First Edition, First Printing. Hard Cover. NEAR FINE/Fine. Illus. by Ed Frascino (Illustrator). New York, NY: Harper Colophon/Harper & Row, 1977. Text/NEW & Bright. Softcover/NF; sound with light edge & surface wear. Trace humidity to lower text edge by spine to first 6 pgs. First published by Harper Colophon in 1977; this is the 2nd Printing of 1979. Anthology of cartoons --- that unique form of simple, editorial drawings with humorous exaggeration of subject matter and often satirical --- taken to great heights by The New Yorker, which to today, remains dedicated to the art through "Daily Cartoons". In this sense, this collection is a record of American social history & commentary with "a hand on the pulse" so to speak. Chosen from some 20,000 published since the magazine's first 1925, with presentation in 5 parts: 1, The Late Twenties; 2. Early Thirties; 3, Late Thirties; 4, The Early Forties; and, the Late Forties. . First Edition, 2nd Printing. Soft Cover. Very Good/None as Issued. Vintage/Cartoons/Humor. New York, NY: Simon & Schuster, 2016. ADVANCE UNCORRECTED PROOF/Paperback. BRAND NEW COPY. 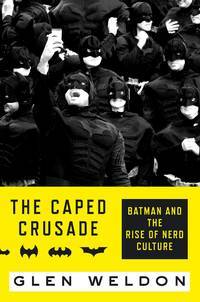 An infromative and witty historical and biographical account of the rises and falls of Batman by theater critic, journalist and panelist on NPR's Pop Culture Happy Hour, Glen Weldon, author of "Superman: The Unauthorized Biography". Following the Introduction (Batman, Nerd) are 9 chapters: 1, Origin & Growing Pains (1939-1949); 2, Panic & Aftermath (1948-1964); 3, Same Bat-Time ... (1965-1969); 4, Back to the Shadows (1969-1985); 5, Bat-Noir (1986-1988); 6, The Goth of Gotham (1989-1996); 7, The Caped Crusade (1992-2003); 8, Trilogy of Terror (2005-2012); and 9, The Unified Theory (2004- ). Advance Reading Copy (ARC). Paperback. NEW/None as Issued. Advance Reading Copy (ARC). Frankfurt, Germany: Fischer Taschenbuch Verlag, 1980. Text/NEW, showing faint margin discoloration. Cloth softcover/NF w/light surface wear. German language text. Humor & wit w/cartoon illustrations. Tactics in marital wars --- fighting in that institution in which two, differing in gender characteristics, temperament, background & upbringing, and dreams & desires, come together, for better for worse, and an endless eternity of sharing table, bed, bath, and not in the least, income. With laughter, still a social institution to consider.. Reprint of 1981. Soft Cover/Cloth. NEW/None as Issued. Text/German. Mexico City, Mexico: Editorial Joaquin Mortiz, 1963. BRAND NEW COPY; Spanish text. Compilation of cartoons from Mexica political cartoonist and painter Abel Quezada (1920 - 1991) who also gave us 12 covers for the New Yorker magazine. First published in 1963, w/some works first appearing in newspapers; this is the 2nd Edition of 1973. A genius in mind and pen yet gracious, Quezada was propelled by his dream for an ideal world ("para ser un sueno ... para ... mundo ideal) --- that Mexico become rich and strong, and a civilized world. In his reflections and hence subject matter, Quezada spared neither the rich nor the poor, and certainly not the lnstitutional Revolutionary Party, or PRI, that long dominated Mexico. Voice of man with dreams and hopes.. Segunda Edicion, 1973. Paperback. NEW/None as Issued. Text/Spanish. New York, NY: Universal Library/Grosset & Dunlap, 1942. Text/Near New. Softcover/VG; edge worn w/creasings to corner tips & spine, and light brown spotting (acidic paper reaction) to upper text block. 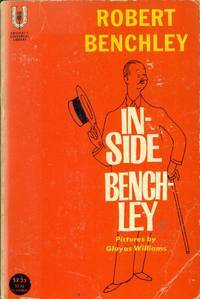 Anthology of essasys from newspaper columnist and film actor, humorist Robert Charles Benchley (1889 - 1945) who wrote for Vanity Fair and The New Yorker, and remembered for his many memorable appearances in films such as Alfred Hitchcock's Foreign Correspondent. 314 pgs. Illustrated by catoonist, member of the Harvard Lamppoonm and contributor to The New Yorker, Gluyos Williams (1888 - 1982), whose works ran in more than 70 newspapers. During the 1940s, he worked in Boston at 194 Boylston Street. When he died at the age of 93, he was living in Newton, Massachusetts. Reprints. Paperback. Good/None as Issued. Illus. by Gluyos Williams (Illustrator). Vintage. New York, NY: Tangerine Press/Scholastic, 2005. BRAND NEW COPY w/faint creasings to corner tips. 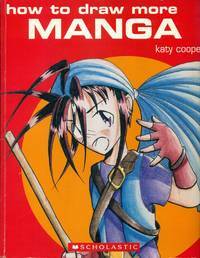 A first guide to the art of Manga (manhua, in Chinese), comics or graphic novels --- a genre filling a void created by low, or non-existent literacy rates, flourishing in the 19th century, and now a favoured medium. 64 pgs. Prefatory basics precede drawing --- profile, heads, shaping of body, defining action and final details. 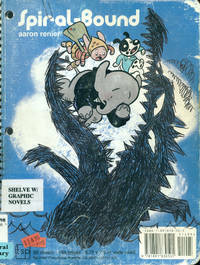 Characters used are D-Boy, Heather, J>C., Kimi, Striker, and Kit-Kit.. First Edition, First Printing. Paperback. NEW/None as Issued. Illus. by Ben Krefta (Author-Illustrator). First Edition, First Printing. New York, NY: Tangerine Press/Scholastic, 2002. Text/NEW & Bright. Softcover/NF; strong & sound w/trace edge & shelving wear, and faint creasings to corners. 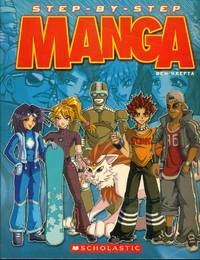 Guide to the art of Manga (manhua, in Chinese), comics or graphic novels --- a genre that filled the void at a moment of low, or non-existent, literacy rates, flourishing in the 19th century to become a modern day favorite medium. 64 pgs. 6 chapters: 1, Getting Started; 2, Faces; 3, Expressions; 4, Bodies; 5, Finishing Touches; and 6, Materials.. First Edition, First Thus. Paperback. NEAR FINE/None as Issued. Illus. by Katy Coope (Author-Illustrator). First Edition, First Thus. New York, NY: Tangerine Press/Scholastic, 2004. Text/Bright, clean, As New. Softcover/VG; strong & sound w/trace edge wear, faint creasings to surfaces & small dents to back. 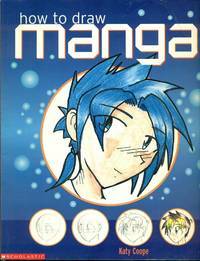 Guide to the art of Manga (manhua, in Chinese), comics or graphic novels --- a genre that filled the void at a moment of low, or non-existent, literacy rates, flourishing in the 19th century to become a modern day favorite medium. 64 pgs. Systematically approaching: 1, Faces & Bodies; 2, Clothes & Accessories; 3, Poses & Action; 4, Animals; and 5, Putting It All Together.. First Edition, First Printing. Paperback. Very Good/None as Issued. Illus. by Katy Coope (Author-Illustrator). First Edition, First Printing. Tokyo, Japan: Shueisha Inc, 1984. BRAND NEW & COLLECTIBLE. First published 1984 in Japanese; this is the first Chinese language edition. Text in Pin-yin (Simplied Chinese). Volume 15 of Dragon Ball. Adventures of young monkey-tailed boy Goku and friend, a teenage girl named Bulma, and their quest to find the seven Dragon Balls which summons the dragon Shenlong to grant the user one wish. Inspired by the 16th century Chinese classic novel, Journey to the West (The Monkey). This episode 15 chronicles the "Strongest Under the Heavens" martial arts tournament for which the world's greatest fighters have gathered!. Chinese Edition, 2005. Soft Cover. NEW - COLLECTIBLE/None as Issued. Illus. 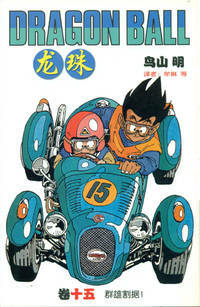 by Akira Toriyama (Author-Illustrator). Text/Chinese - Pin-yin. Tokyo, Japan: Shinchosha, 2005. BRAND NEW COPY. 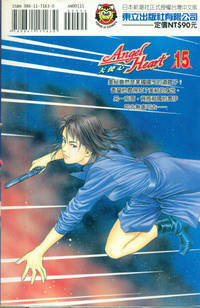 Volume 15 in the Angel Heart manga series written and illustrated by Tsukasa Hojo first published 2001 in the Weekly Comic Bunch. Angel Heart is a spinoff from the City Hunter series. The heroine starts life as Glass Heart, a teenage assasin who, after a killing, has a moral crisis and leaps to her death from a building. Brought back to life by a heart transplant from City Hunter's deceased fiancee, she becomes his adopted daughter and takes on the new name of Angel Heart, but will be plagued by a double personality. . Chinese Edition, 2005. Soft Cover. NEW/None as Issued. Text/Chinese - Traditional. Marietta, GA: Top Shelf Productions, 2005. EX-LIB/UNCIRCULATED COPY. Text/BRAND NEW. Softcover/VG; sound but tired w/edge wear, faint creasings to corner tips, and surface rubs. First graphic novel, and Winner of the Eisner Award for Talent Deserving Wider Recognition, from Wisconsin-born Aaron Renier. An engrossing fable for all ages. Protagonists living in Town? How about would-be-sculptor Turnip the elephant, his friend Stucky the dog who is building a submarine, and Ana the rabbit who is devoted to the town's underground newspaper? And, add to that, how life in Town evolves arounds a deep, dark secret?!. First Edition, First Printing. Soft Cover. Very Good/None as Issued. Illus. by Aaron Renier (Author-Illustrator). New York, NY: Random House, 1982. NEW & COLLECTIBLE. Stated First Edition, First Printing. Storybook based on the 1982 Columbia Pictures film adaptation of the Broadway musical of 1977. 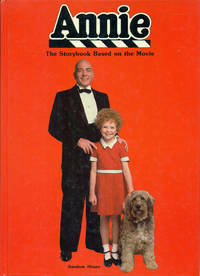 The adventures of Little Orphan Annie, her stray dog Sandy, and her grouchy, lonely billionaire benefactor Oliver Daddy Warbucks, was a syndicated, daily American comic strip created by Harold Gray (1894 - 1968). Gray drew from James Whitcomb Riley's 1885 poem "Little Orphant Annie" (first titled "The Elf Child") of Mary Alice "Allie" Smith, an orphan residing in the Riley home. The comic strip took on socio-political issues such as organized labor, The New Deal and Communism; it begat plays, radio and television shows (Disney), and the outstanding 1977 Broadway Musical. Early film versions are RKO (1932) and Paramount (1938). This volume is illustrated with film stills from Columbia Pictures' 1982 adaptation of the Broadway Musical. Filmwise, newest offering is the 2014 contemporary version by Will Gluck and produced by Jay-Z and Will Smith, in which Annie is a Harlem foster child and Daddy Warbucks is replaced by cell phone mogul, pollitician and still-a-billionaire, Will Stacks. . First Edition, First Printing. Hard Cover. NEW - COLLECTIBLE/None as Issued. First Edition, First Printing. Kansas City, MO: Andrew & McMeel, 1989. BRAND NEW COPY. 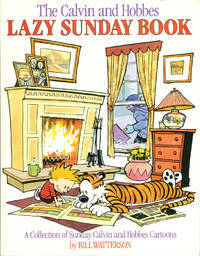 Anthology of the Sunday antics of 6-year old Calvin and his sidekick Hobbes, a cuddly tiger created by Bill Watterson (1958 -), 1986 winner of Reuben Award for Outstanding Cartoonist of the Year. The Sunday cartoons are in color and full-page. The series, including b/w daily strips, was syndicated from 1985 to 1995; Watterson stopped drawing Calvin and Hobbes at the end of 1995.. First Edition, 24th Printing. Soft Cover. NEW/None as Issued. Illus. by Bill Watterson (Illustrator). New York, NY: Warner Books/Bernard Geis, 1985. Text/BRAND NEW. Softcover/VG; strong w/trace edge wear. Front endpapers pre-paw-printed. Humor and wit, illustrated throughout by Jackie Geyer. 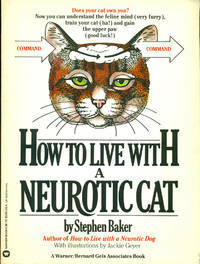 If your cat drape climbs, fights with houseplants, enjoys goldfish, lies on the book you're trying to read, it is neurotic, and this book is written for you! Now, can the neurotic cat be cured?! Definitive answer on last page.. First Edition, 4th Printing. Soft Cover. Very Good/None as Issued. Illus. by Jackie Geyer (Illustrator).